Looking for the best way to watch NCAA basketball online? Check out our complete guide to access a college basketball live stream today - without cable TV! Sling TV offers the most NCAA college basketball coverage, but it costs a few bucks more than Hulu. Hulu with Live TV covers most of your college hoops channels for a good price. Get college basketball and unlimited cloud DVR with PlayStation Vue. As far as satellite TV goes, DISH carries the most NCAA college basketball coverage. Data effective 10/30/2018. Offers subject to change. You could argue that college basketball offers the purest form of hoops out there. There are no big contracts or prima donnas in the NCAA, at least now that Trae Young has moved on. Sorry, Oklahoma. Whether you’re rooting for your alma mater or you just want to watch college basketball in general, we’ve got you covered. We’ve ranked the best ways to watch college basketball and laid out the pros and cons of each service below. Sling TV streams 11 of the 13 major college sports channels, making it our number-one seed. A little college basketball humor for you (we know, it wasn’t funny). Before you commit to anything, check out the Sling TV trial, and you can watch college basketball free for a week. Watch the most college basketball for $45/mo. Sling TV prides itself on offering à la carte channel selection, but it’s not as simple as it sounds. Sling TV breaks down its channel packages into two separate colors: Sling Blue and Sling Orange. To watch the most college basketball possible, you’ll need both Sling Orange and Sling Blue, which adds up to $40 a month. We’re not done quite yet. You’re still missing the SEC Network, PAC-12 Network, BeIN Sports, and ESPNU, which are pretty important channels when it comes to college basketball. Grab the Sports Extra add-on that costs $5 a month, which gets you ESPNU, the SEC Network, and Pac-12 Network. If you’re an ACC fan, then you can just stick with Sling Orange and pay only $25 a month to watch your Duke basketball. Don’t pay for channels that you don’t need. Most streaming services come with cloud DVR included, which is sadly not the case with Sling TV. If you want to record college basketball games and watch them whenever, it’ll cost you an extra $5 a month to do it. That $5 a month will get you 50 hours of cloud DVR storage. You can easily record more than 20 college basketball games before having to purge your storage. Besides the extra cloud DVR fee, the biggest downside of Sling TV is missing out on CBS, which is a vital channel for watching college basketball. We suggest pairing Sling TV with the CBS All Access app. That way you can get all the college games on CBS for a cheap price. We go over CBS All Access below, so feel free to skip to #6 for more info. Get a free Winegard indoor antenna—which should get you your local CBS affiliate for free— when you pre-pay for two months of service. Check out the eligibility requirements, and sign up on the Sling TV offer page. There are so many college basketball teams out there, so make sure you know which network your teams play on before committing to any streaming service. We suggest signing up for a Hulu with Live TV’s trial to make sure you can watch your team. Hulu Live TV makes things pretty simple by offering only one streaming package. For $39.99 a month, you’ll get access to the ESPN, SEC Network, Big Ten Network, over 55 other channels, and as an added perk, Hulu’s on-demand streaming library. Check out the channel list to see exactly what you’d pay for. While you’re at it, take a look at Hulu’s streaming library (because you’ll get it free with the package). The combination of livestreaming channels and a massive library of on-demand content makes for a pretty generous deal. Here’s another tip: Hulu Live TV allows users to stream on two different screens simultaneously. If you’re a thrifty type of person, you can try to find someone you can share a subscription with. All of a sudden, you’re paying $20 a month to stream college basketball online and watch tons of other content (Rick and Morty, anyone?). As opposed to Sling TV, which makes you pay extra for cloud DVR, you get it for free (sort of) with your Hulu Live TV subscription. It’s easier than you think to run through 50 hours of cloud DVR storage, so make sure that you clean out old games and TV shows every once and again. Need more cloud DVR hours? You can upgrade to 200 hours of cloud DVR storage for $14.99 a month. You can basically record an entire season of your alma mater’s college basketball games with that.  If we had to choose the best streaming quality out there, we’d choose PlayStation Vue. Oh, and the unlimited cloud DVR is nice, too. Give the PlayStation Vue 5-day trial a go and you can watch college basketball for free. If you’re a fan of the Big Ten or just want to keep tabs on the big matchups, PlayStation Vue has got the goods. For the most college basketball channels possible, we recommend going with PlayStation Vue’s Core package for $44.99 a month. Along with 8 of the 13 major college basketball channels, you can stream over 60 other popular channels. Fun fact about PlayStation Vue: it streams by far the most CBS affiliate markets. So if you want to stream CBS (and you do, because you’re a college basketball fan) along with other college basketball channels all in one place, PlayStation Vue is your best bet. With PlayStation Vue’s unlimited cloud DVR, you can literally record every single college game you get. Yeah, that’s right. Every. Single. One. You never need to stress about DVR storage—just keep hitting that record button and watch those March Madness games whenever works for you. Time for the catch. All your recorded content deletes after 28 days. Just pretend it’s like the zombie movie 28 Days Later and watch your shows before . . . the zombies come? Whatever analogy works for you, just remember to watch your recordings before they’re gone. We’ve tested pretty much every streaming service out there, and there’s really no question: PlayStation offers one of the best streams out there. Where other streaming services occasionally bug out or lag behind real time, PlayStation Vue consistently streams well. If streaming is out of the question, the best satellite option for watching college basketball is none other than DISH. Check out all the packages here. We warned you—satellite TV is just way more expensive than streaming. But if you’re in a situation without reliable internet, or maybe you’re just a loyal to satellite fanatic, DISH is still a good choice. There’s no judgement here. To get the most college hoops with DISH, you want the America’s Top 250 package, which gets you 12 of the top 13 college basketball channels for $89.99 a month. You also get another 250+ channels on top of that, which will keep you busy during halftime. That should cover most of the college basketball jonesing you may experience. Hey, you may be paying $89.99 a month in a binding 24-month contract, but at least you get a killer DVR. With DISH’s Hopper 3 DVR, you can record not just this season of your alma mater, but like the next five seasons too. Plus you get to keep everything you record, no auto-deletion to worry about like you would with a streaming service’s unlimited cloud DVR. You can read more about contracts, DVR, and other options in our full DISH service review. You can always count on streaming CBS with the CBS All Access app. You can stream some college basketball for free with a CBS All Access app 7-day trial. The CBS All Access app is the answer to our CBS streaming problems because it’ll let you stream college basketball games regardless of your location. It’ll only cost you $5.99 a month for two simultaneous streams with ads or $9.99 a month for two simultaneous streams without ads. With that cheap price tag, you could easily combine the CBS All Access app with another streaming service for more access to college basketball. If you’re a fan of college basketball (or CBS shows in general), CBS All Access makes things super easy for you. The stream looks smooth, and you can relax knowing that you won’t run into any blackouts. Don’t forget that CBS All Access streams only CBS content, so we recommend combining your CBS All Access app with another inexpensive streaming service (like the Sling TV Orange package). This way, you get the most college sports channels. For the college basketball games that air on local channels, consider buying an antenna. You can avoid all the stress of local affiliate coverage with streaming services and just watch your local CBS, FOX, and NBC over the air. What Antenna Should I Get? Thankfully, antennas have improved over the years, and you don’t need to have a huge pair of bunny ears sticking out of your television. Antennas nowadays are sleek and easy on the eyes. We’ve tested a few HD antennas, and we recommend the Mohu Leaf 50 HD antenna. Just put the antenna in some out-of-sight area, and enjoy your local channels without any additional payments. Using your antenna in combination with a quality DVR will give you the most flexibility, letting you record games as they air and watch them on your own schedule. Take a look at our DVR comparison guide if you’re in need of a new DVR. This is far from a complete solution for college basketball streaming, but hey – it’s free! You don’t want to buy an antenna only to find out you can’t access any desirable channels from your home. Before you buy anything, put in your ZIP code and make sure you can get CBS and other major channels. College basketball manages to be exciting every year, and we want to make sure you can watch as much as possible. Like we’ve mentioned, so much depends on what teams or conferences you want to watch, so take a close look at our list and make sure you’re getting the right streaming service for you. Have any questions about how to watch NCAA basketball live stream without cable? Let us know and we’ll help. If you want to watch March Madness, holiday college basketball tournaments, conference tournaments or other sports, head over to our main sports page.